A Cruise vacation might not be seen as an option for a diving vacation, however, it can be. Millions of people each year spend their vacations on a cruise ship. Once considered a vacation for the rich or elderly, the cruise ships now see passengers in every age group and in many economic groups. Some ships are small with only a hundred passengers or even less. Many of the new cruise ships have well over 5,000 guest on-board. 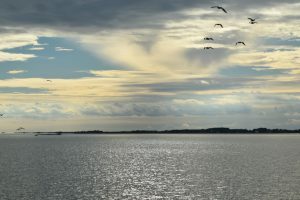 Warm weather destinations are some of the most favorite cruise destinations, however, you will see sailing to Alaska, the Baltic Sea and even to the Antarctic. While a cruise ship might not be the first thing comes to mind when planning a dive vacation, you might not want to dismiss it straight out. 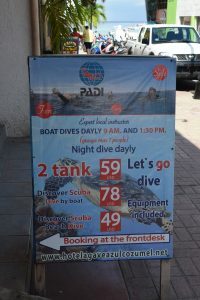 If you are looking to dive three or four dives a day every day of your vacation, then a cruise will not fit your plans. However, if you are looking for a dive vacation that balances diving with other activities or need to take into consideration the needs of traveling companions that are not divers, a cruise may be a good choice. If you have never taken a cruise, here are a few basics. A cruise ship can be compared to a full board resort. The cruise fare will include your stateroom and many of the on board activities. Your meals are included as are some beverages during meals. You generally will have a few options of where you want to eat. There will be one or more fine dining restaurants and one or more causal restaurants or buffets. Some cruise ships offer specialty dining at a small surcharge. 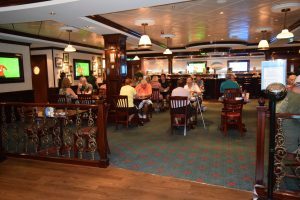 Some the larger cruise ships will have over a dozen different places you can eat a mixture of included and at an additional cost. Each evening you will find in your stateroom a newsletter showing all the activities the following day including the opening and closing times of different venues. In the evening, expect to find a number of shows and other nightlife offerings. On the days you are in a port, the newsletter will list information about the port including the times you can leave the ship and when you must be back on board. A typical cruise is a week long and will have four or five ports of call, the remaining days will be at sea. Depending on the cruise you select, you may find that diving is possible at each port of call. 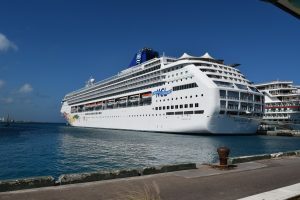 Most of the Caribbean best diving destinations are also visited by cruise ships, as are Mexico’s Pacific coast, parts of the Mediterranean, Australia and ports in Asia. A recent cruise gave me the opportunity to dive in Honduras, Belize, Costa Maya Mexico and Cancun. I left from Florida so arriving a few days early gave me the possibility of some dives before the cruise. That trip brings my total to 12 dive destinations and 40 dives while taking a cruise. passengers to the shore. The tendering process adds to the time it takes to get off the ship. The term “Shore Excursion” is used by the cruise industry to mean a tour activity off the ship. The cruise lines arranges with local tour operators tours that can be offered to the guest on board the ship. These are sold on board and before the cruise on the cruise line’s website. A debate you often hear from experienced cruises is whether to book a cruise lines offered shore excursion or do it yourself. Both those for and against using the cruise line suggested tours have merit. On the positive side, the tours are aligned with the ships arrival and departure times. 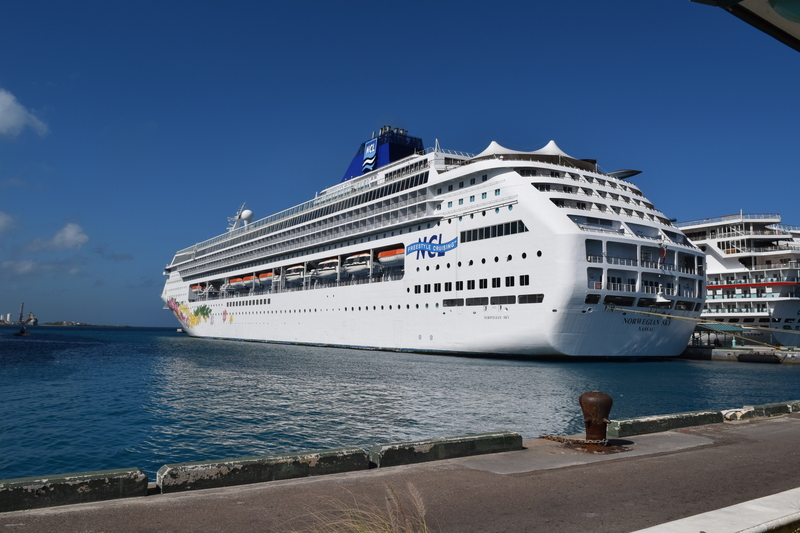 While a cruise line will clearly state the tours are by independent tour operators, if the tour is late returning to the ship the cruise line will know and insure that the passengers are not left behind. On the negative side, cruise ship sold shore excursions are often a cattle boat activity. Hundreds of passengers get off the ship, file onto buses that travel to the tour’s destination. At the tour stop, passengers file off the bus, follow a tour guide with a little flag, then back on the bus to the next destination. Also, cruise ship lines are in business to make a profit, so there is a mark up added in to cover the cruise line’s cost and a profit margin. These concerns can also be raised concerning scuba diving as a shore excursion. I have dived using the ships shore excursion as well as arranging my own. Years ago, scuba divers and snorkelers were often grouped together and fifty or more people may arrive at a dive site at the same time. Today, the trend is to keep them separate and the cruise lines deals directly with dive operators not tour operators who sub contract. 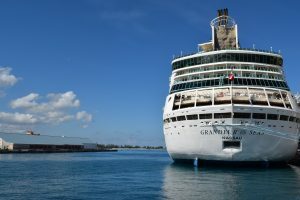 The cruise lines generally do not announce who operates their tours, however, with the power of the internet the identity does not stay secret. In most cases, the cruise lines are working with a leading dive operator in each port. Shore Excursions or Self Booked? Whether you should book a shore excursion from the cruise line or do it yourself is not an easy answer. The first point should be, are you comfortable with who the dive operator is. While the cruise lines do not list the operators, if you look at reviews of the shore excursions you will often see the name of the tour operator. From there you can look at reviews for that company. You can also see, how much a cruise line marks up a trip. 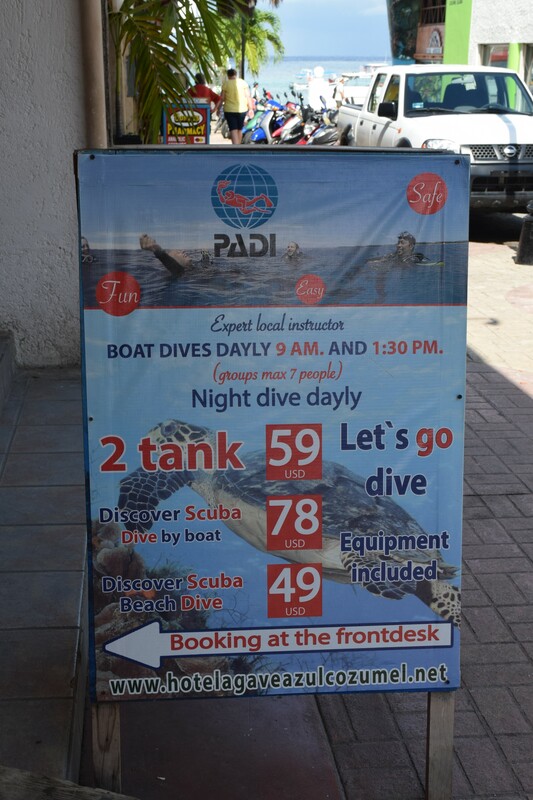 A two tank boat dive with no equipment in Nassau by the cruise line is $179, while booking direct with the company it is $150 ($139 plus 7.9% tax). In this case, the company does provide a pick up at the cruise terminal for direct bookings, however, that is not always the case. If you are considering making a reservation direct with a dive operator, there are a number of items to carefully consider. First and foremost is the times. 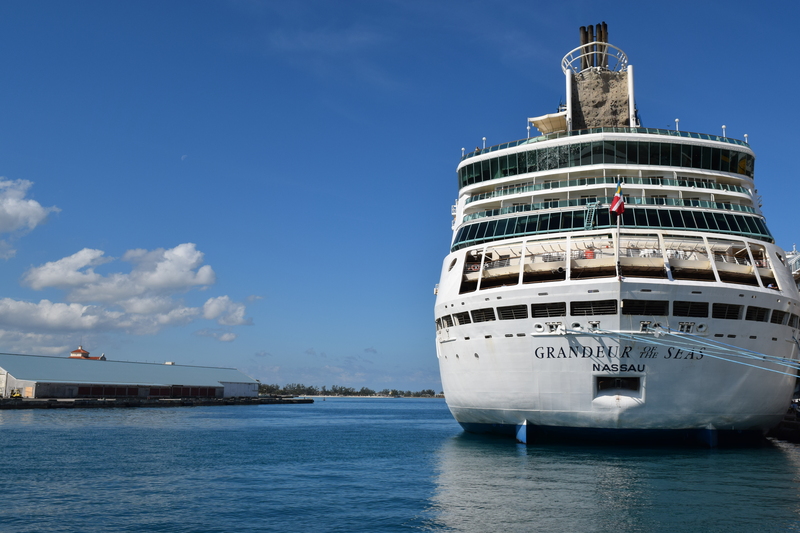 Your cruise itinerary will show you the date and time you will be in port and the departure time. Look closely at those times, some cruise lines show the local time while others show “ship” time. Some cruise lines will move the clock forward or back during the cruise to reflect the local time where they are. Others keep the time based on the ships departure port. Ship time could be one or even two hours different then the local time. You also need to take into consideration getting off the boat. Take as an example a dive boat that leaves at 8:30 am. 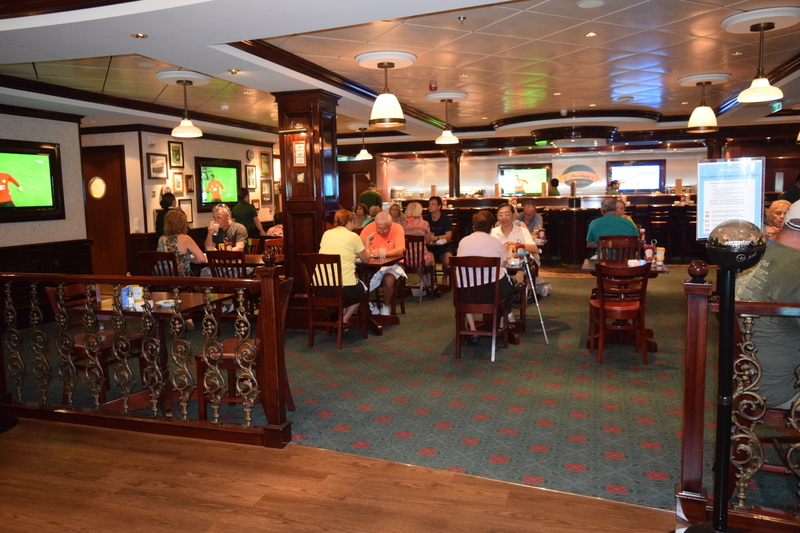 If your cruise is schedule to arrive at 8:00am you might be thinking of making a reservation. That might not be enough time. When the ship announces you can depart the ship, there may be hundreds already in line waiting. As you get off the ship, your ship board ID is scanned. While that will only take a handful of seconds, it adds up if hundreds are in front of you. 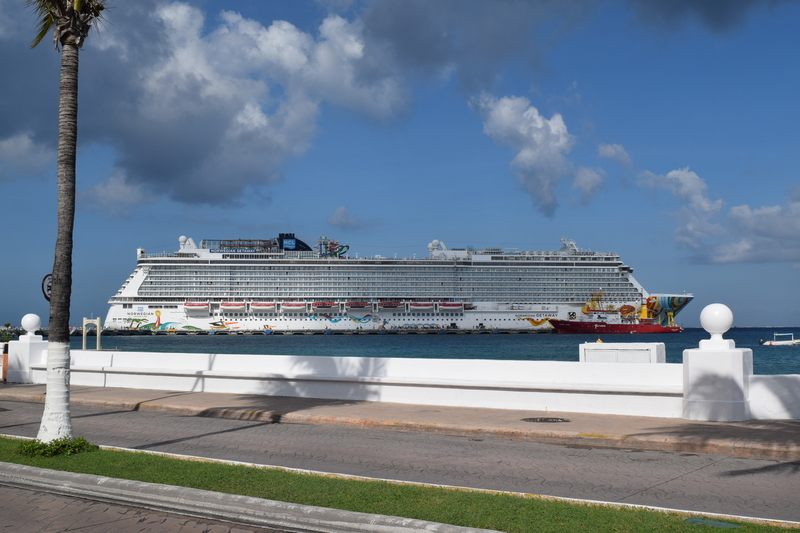 Additionally, the passengers departing on a ship’s shore excursion will have priority over those going off on their own. If the port is one that uses a tendering you need to also consider the time it takes to get ashore. However, if your ship has a late departure, you might be able to do an afternoon dive. In those cases, you are not rushed to meet up with short deadline. A second item, will be the meet up with the dive operator. Consider how will you get to the dive operator if doing it on your own and the cost. Some operators will provide pick up at the pier while others will not. Also, make sure about the pick up point. I recently made a direct reservation with a dive operator with a pick up point at the cruise terminal. Unfortunately for me, the cruise terminal where the pick up point was at was not the same cruise terminal I arrived at. I had to take a taxi to get there. While boat diving is the most frequent option, look to see if shore diving is possible. I have had some great shore dives. This gives you the freedom to dive on your own schedule, and often at very good rates. While at the DEMA show in November, I asked a number of dive operators, that were located in ports that have cruise ships, their views. The response was mixed. Those that have contracts with the cruise lines prefer you book with the cruise line. There reasoning is that the time schedule is already tried and proven. They also stated that the transportation requirement is easier to organize. Those who do not have a contract gave me a more mixed response. A few have developed their business hoping to get divers from the cruise ships on their dive boats. They provide flexibility in their dive schedules to allow for the later departures that might be needed. These shops often offer smaller boats for a personal experience and arrange to meet at the pier. Some other dive shops stated they prefer not to get cruise ship divers. They are concern with late arrivals and the uncertainty of the divers qualifications. Royal Caribbean Offers Diving Lessons. In years past, many of the cruise lines offered on board diving programs. Princess Cruises had their New Wave program which they ended around 2008, NCL had their Dive In program which they phased out. They still use the title but it only shore excursions. Disney and Carnival have also closed their programs. They all still offer shore excursions so you can still dive from the ships of those cruise lines. Recently, Royal Caribbean Cruise line has once again fully embraced scuba diving. The cruise lines now offers PADI Open Water Certification on 10 of their ships. These ships visit a total of 14 different dive destinations. Open Water Diver students sign up for the course prior to the cruise. While at home they complete the knowledge segment using the PADI Touch app or PADI eLearning® online. On board the instructors verify the satisfactory completion of the knowledge segment and start the confined water elements of the training. They do this in one of the swimming pools aboard. The students complete the four open water dives at two different destinations. Besides the Open Water Diver training, Royal Caribbean also does a “Try Dive” program. This is a training session using a swimming pool on the ship. The dive instructors on the Royal Caribbean ships also conduct “Discover Scuba Diving” programs. Those divers who have not had a dive in a while can do the “PADI Reactivate Program” as well. These 10 ships also have a PADI 5 Star Dive Center on board. The diver who has a non diving partner or family members may find it easier to suggest a cruise vacation over a dive resort. For the diver a cruise offers the ability to experience more than one destination. Cruises can also be a better value, since so much is included. You owe it to yourself to look into it before your next trip. This entry was posted in Travel and tagged #scubadivingnomad, belize, cruise ship, mexico, scuba by Charles W. Davis. Bookmark the permalink.